Tommy Bowe knows exactly what it is like to play outside of Ireland and then have to readjust to the systems of the international team. 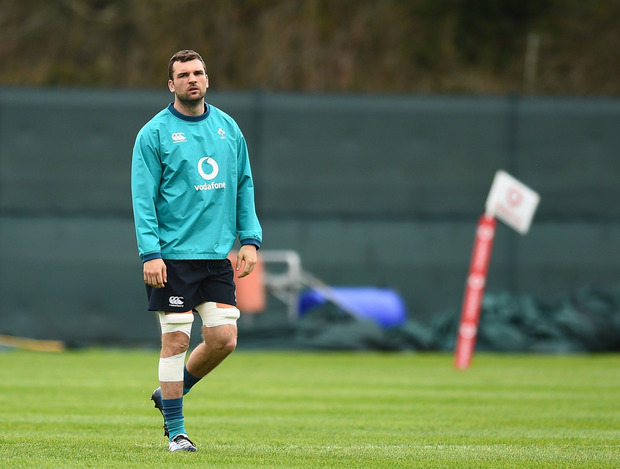 The former Ireland winger's situation may have been different in that he was selected to play for Ireland during his four-year stint in Wales, but he can still relate to the situation that Tadhg Beirne has found himself in. Having returned home from a successful time with the Scarlets, Beirne's international career has yet to reignite in the manner that his club form suggests it should. The 27-year-old has endured a frustrating few weeks having picked up a knee injury just before the start of the Six Nations and since regaining full fitness, he hasn't been able to force his way in for what would be his first appearance in the tournament. That may be all about to change this weekend, however, as Beirne pushes for inclusion in Joe Schmidt's team to play Wales. Like most other people, Bowe has been impressed with the dynamic lock's performances for Munster this season and he believes Beirne will have no problem playing with Schmidt's system. "The style of play that the Scarlets would have been playing was a lot less structured than the style of play that Joe likes," Bowe said at a Guinness Six Nations event. "I still think that Tadhg Beirne is such a talented player, such a good operator, he should be able to slot into any system when called upon. "But I think certain players find it a little bit more difficult to find their feet or maybe for Joe to give them the full trust that they can do exactly what he needs. But I have seen from Tadhg, any time he has got the chance for Ireland, he has played very, very well. "Listen, it is a great problem for us to have. It's incredible to see Quinn Roux going so well. Ultan Dillane is playing incredible stuff. "Who would have thought before the Six Nations that we would have been talking about those two guys going ahead of the likes of Beirne. And still without Dev (Toner). "There are going to be injuries going into this World Cup, it's going to happen with what is to come with the club campaigns and obviously in the build-up to the World Cup too. But certainly, second-row is one place that we are very strong." Pressure Having started in the 2009 Grand Slam decider in Cardiff, Bowe understands the kind of pressure that the Welsh players will be feeling ahead of Saturday's showdown. "It takes a lot of pressure off Ireland that they're going over there as slight underdogs, with no expectancy," he adds. "I think this will be the biggest performance of the Six Nations. If we finish second after a big performance, all of a sudden confidence is high again, and we're looking good for the World Cup again. "Wales could be on form, but I don't think they're playing particularly well either. They've won ugly, they did very well to hang in against England in the first-half onslaught. I'd hope Ireland go over and pull out a big performance. "If it goes the other way, things don't go to plan, all of a sudden there is that question in the back of their head."